Crumpacker allegedly bought cocaine on seven occasions between January and June this year, according to indictment documents. 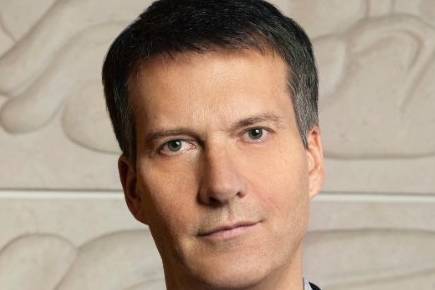 NEW YORK: Chipotle Mexican Grill chief marketing and development officer Mark Crumpacker was arraigned Tuesday on misdemeanor charges that he bought cocaine on seven occasions between January and June, according to court documents. The case was adjourned for both sides to submit pre-trial filings; the next court date is September 8, a source familiar with the matter confirmed. Chipotle placed Crumpacker on administrative leave on June 30, following an indictment by Manhattan prosecutors involving the executive and a cocaine drug ring. Crumpacker, who was named Chipotle’s first CMO in 2009, was one of 18 alleged cocaine buyers indicted, according to various media reports. Crumpacker was caught on wiretaps 13 times allegedly ordering drugs and he spent almost $3,000 on the deliveries, assistant district attorney Patrick Doherty told media outlets. Crumpacker’s defense attorney, Gerald Lefcourt, was not immediately available for comment. Chipotle communications director Chris Arnold said via email the chain is aware that Crumpacker presented himself to authorities earlier today. "He was placed on a leave of absence last week immediately upon learning of these allegations and remains on leave from his job to focus on these personal matters," Arnold added. In his absence, Crumpacker’s responsibilities have been assigned to executive director of development, Carolyn Roberts, who will oversee development activities; and director of brand marketing, Mark Shambura, who will oversee marketing, according to a Fast Company report. Crumpacker’s role includes oversight of the company’s marketing functions including advertising, design, events, PR, social media, and research. He took on the added title of chief development officer in 2013, leading the company’s real estate, design, construction, and facilities functions worldwide, according to his LinkedIn profile. He is also the president of the Chipotle Cultivate Foundation, a charitable organization established by Chipotle in 2011 as a way of "promoting a more sustainable, healthful, and equitable food future," according to his LinkedIn profile. His indictment was made public one day before the launch of Chipotle’s customer loyalty program, Chiptopia Summer Rewards. The program is the chain’s latest attempt to win back customers scared off by E. coli and other food-safety issues that have troubled the chain since late last year. The Wall Street Journal noted on Friday that Crumpacker’s indictment could have a further "damping effect" on the chain. Chipotle reported its first quarterly loss since it went public in the first quarter of 2016, with same-store sales down 30% from the prior year and a net loss of $26.4 million. In early June, Chipotle enlisted Linhart PR to handle national field marketing PR. The burrito chain hired Burson-Marsteller as its U.S. AOR in March, after splitting with previous AOR Edelman last fall due to a client conflict. Arnold would not comment on whether or not Burson is assisting with comms around Crumpacker's arraignment. Burson deferred to Arnold, when asked for comment.